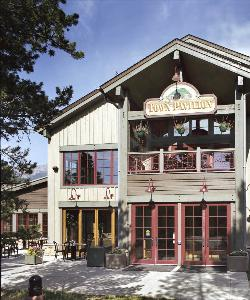 Owned and operated by the Town of Silverthorne, the Pavilion opened its doors in 2001 as an affordable, stylish venue to serve the local community and our visitors. We take pride in presenting our guests with a tasteful, inviting facility that is easily accessible from Denver International Airport, the Front Range, and the Western Slope. Whether you're hosting a wedding, reunion, or sales meeting, your guests are sure to appreciate the Pavilionâ€™s location. With convenient access to I-70, we are in the heart of Summit County, and within minutes of Keystone, Copper Mountain, Arapahoe Basin and Breckenridge ski resorts. The Pavilion sits at the edge of the famed Blue River in the heart of the Town Center and boasts nearly 12,000 square feet of space. With a flexible, open floor plan, we are able to arrange furniture to accommodate the size and style of your party, and also to convey your personal tastes and style.